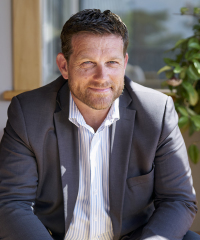 As a resident of Westshore and with an established area of expertise around Napier, Richard is a familiar and trusted face, with a wealth of local knowledge and an impressive client base, but beyond that, he regards his clients as friends, enjoying the process of building relationships as much as the business opportunities they bring. With Richard, you know you will always come first and be kept informed throughout the sales process. Richard loves the diversity of properties he is entrusted to sell and the whole sales process from start to finish. His steadfast ability to follow up and follow through, skilful negotiating techniques and eye for detail makes Richard a particular asset to those with high-end properties seeking a premium price. Richard also has a talent for pulling off quick and discreet sales thanks to his extensive database of qualified buyers.